Justin and I both worked at the SAU skating rink. It was called the Rider Rink. It had just opened, and we began working there about the same time. Besides the Rider Rink, the sporting events were always fun to go to. For fun we did the typical out to eat thing, but we also liked to go to lake Columbia and hang out. 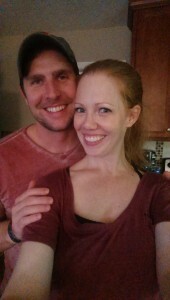 We met in 2000, and married in 2005.